Did this recently with my IJ harnesses. Came out amazing! Just be careful nothing can poke down below the rack and block the washer arm. 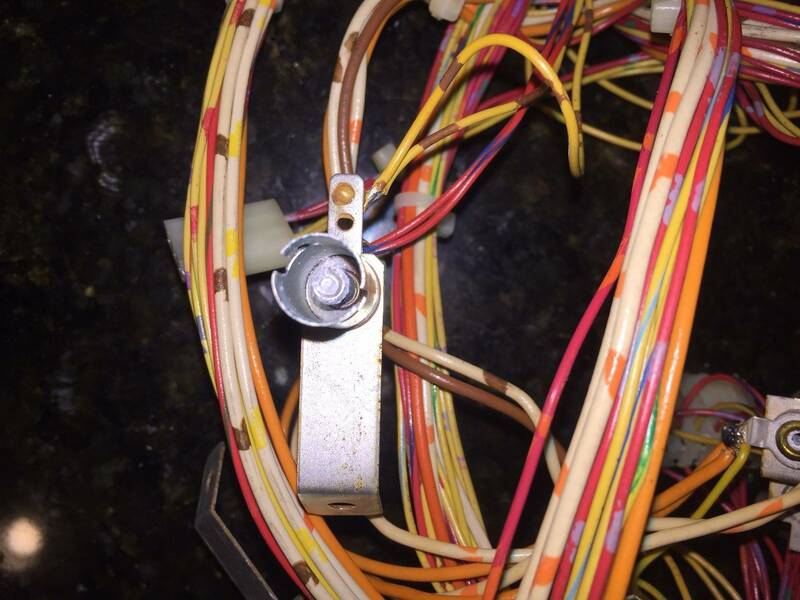 I've been told the dishwasher process WILL kill microswitches and WON'T kill them, any opinions? That's a recipe for a bubble bath all over the kitchen floor. I simply do not understand intentionally introducing liquid water into a wiring harness. Some microswitches are sealed, but not most. Most are, however, snap-action and single-metal so there won't be much if any galvanic concern. The issue would be the presence of any sort of lubricant, which IS in some microswitches and both will be mobilized and might kill them. The bigger problem I have with this sort of thing is wicking; stranded wire will wick water up a shocking distance into the insulation, it will never dry out as there's no exposure to the atmosphere to do so and over time it will degrade the copper. 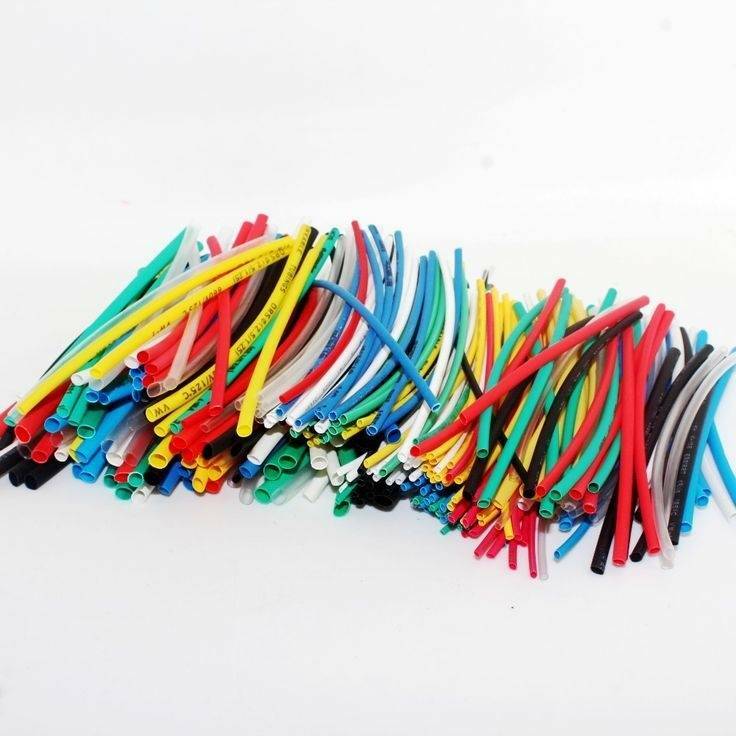 The wire used in these harnesses is not 100% tinned (that stuff is expensive and usually only found in marine applications; pinball machines typically use the cheapest wire and hardware they can get away with) and thus you're going to intentionally introduce water well up the wiring harness at every end of every connection. Worse, anywhere there's a dissimilar metal (e.g. at a connector, where it's soldered, etc) you've created the conditions for a galvanic cell, which can and will promote corrosion even when the machine is off! I've lived around the marine environment and boats my entire life, and have seen ground wires that were never submerged in anything yet the conductors are literal *powder* half-a-foot or more up from the connector after a decade or two! Yes, washing the harness produces a cleaner insulating jacket, but dirt on an insulating jacket doesn't short things out nor degrade the wire inside and wiping it down, while it won't get the side(s) of the jacket you can't reach with a cloth, won't get moisture into the wire itself. Now maybe 20 years on doing this will prove to be entirely benign, but I'm not doing it with any of my games. 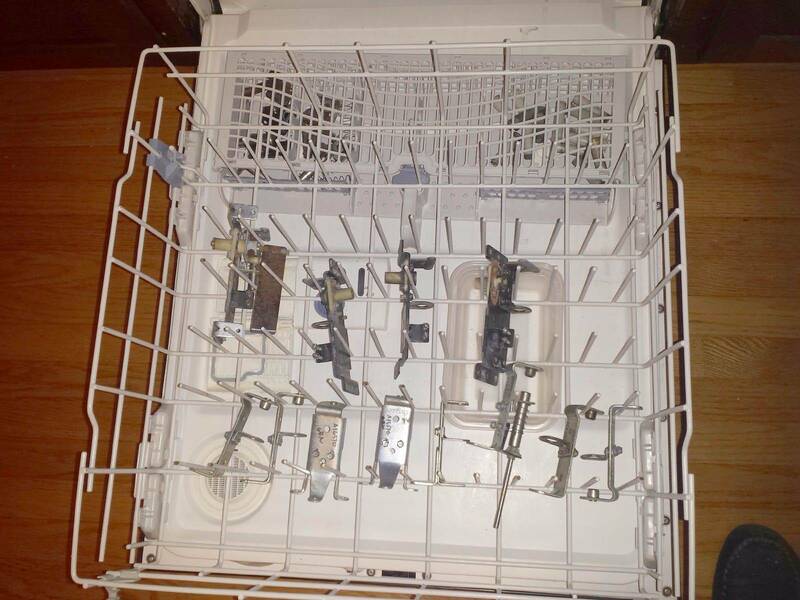 I would not trust any microswitches in the dishwasher. Even if they were sealed 20 years ago, they might not still be sealed today. 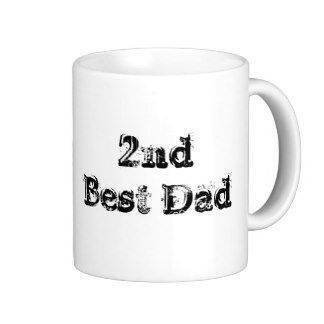 Sorry for ressurecting. 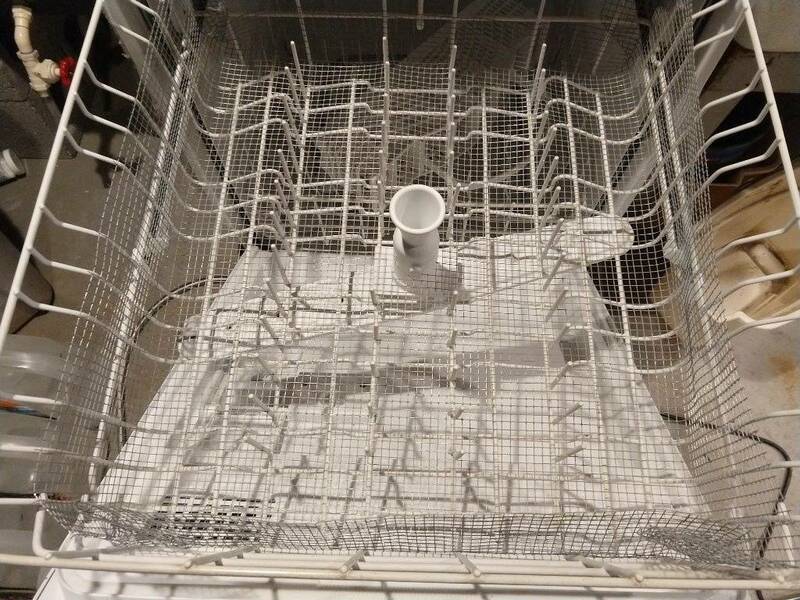 How does the fish paper or switch Wafers hold up to the dishwasher? Also, advice as to tickerguy's post and comments on wicking? Seems like every method of thoroughly cleaning a harness involves water and detergent. I'm asking because I'm about to completely restore my time warp and am in the middle of stripping the harness. Not because it's particularly dirty but the PF needs extensive work and all inserts are loose. I just got done washing my Dracula wiring harness, and I am noticing some sort of deposit/ corrosion build up on several of the light sockets, including on the the internal spring within the socket. I am wondering if something on the sockets reacted to the detergent. Has anyone else experienced this? Any advice on how to clean it off? Sorry for ressurecting. 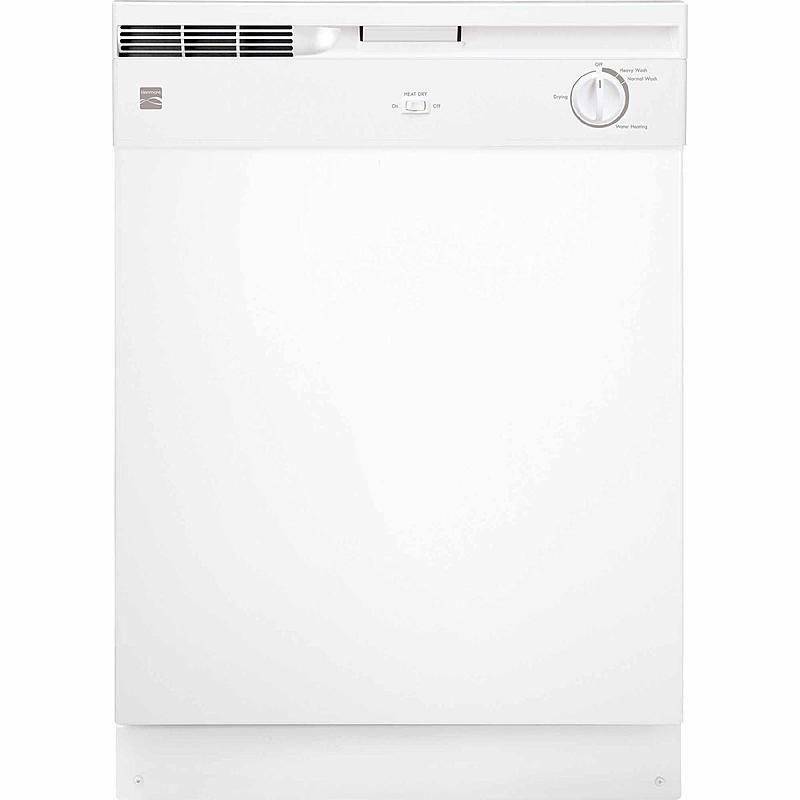 How does the fish paper or switch Wafers hold up to the dishwasher? 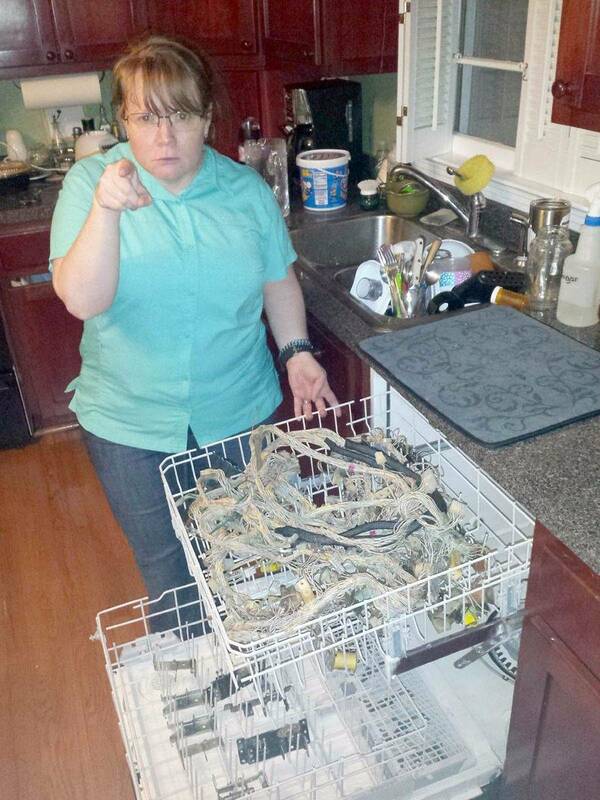 Fishpaper is fine in the dishwasher. It's made of vulcanized rubber over a fiber base. Also, advice as to tickerguy's post and comments on wicking? 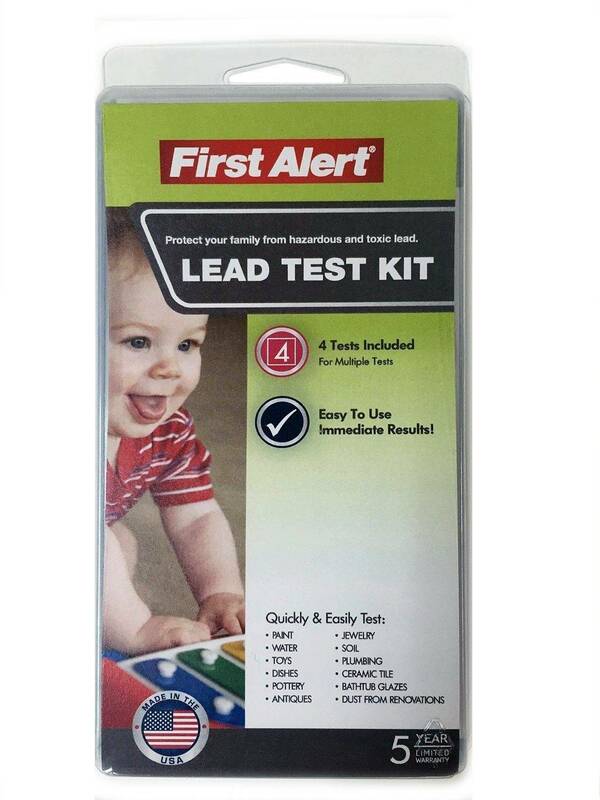 Seems like every method of thoroughly cleaning a harness involves water and detergent. A little water wicking at the ends of the wire does not hurt anything. Many times after washing, you are snipping off the wire ends to re-terminate the connector plugs anyway. No one has ever snipped off the old contacts and said "OMG, these are still wet under the insulation!!!!" It's not like pinball is a constantly wet environment (and the dish detergent is ph7). 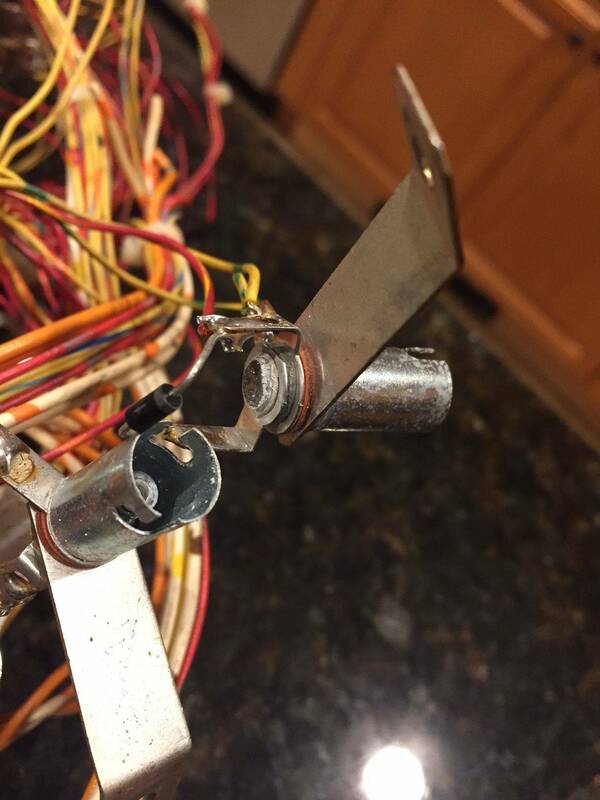 People have been washing wiring harnesses in their old Gibson and Fender guitars since the 70s and we don't hear any stories about the wire ends corroding (and those old potentiometers were open frame - yikes!). 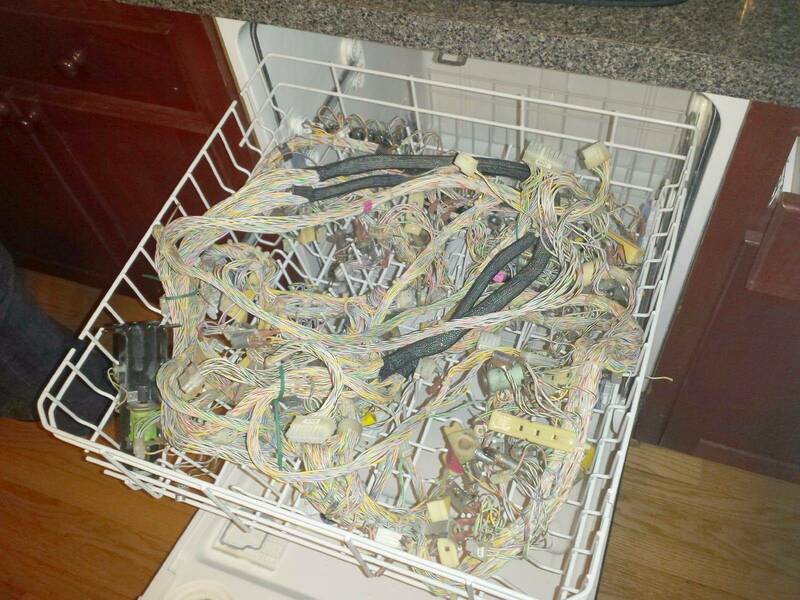 People have been washing pinball harnesses since at least the 90s (see rec.games.pinball), and again, we don't hear any horror stories in the last 30 years. 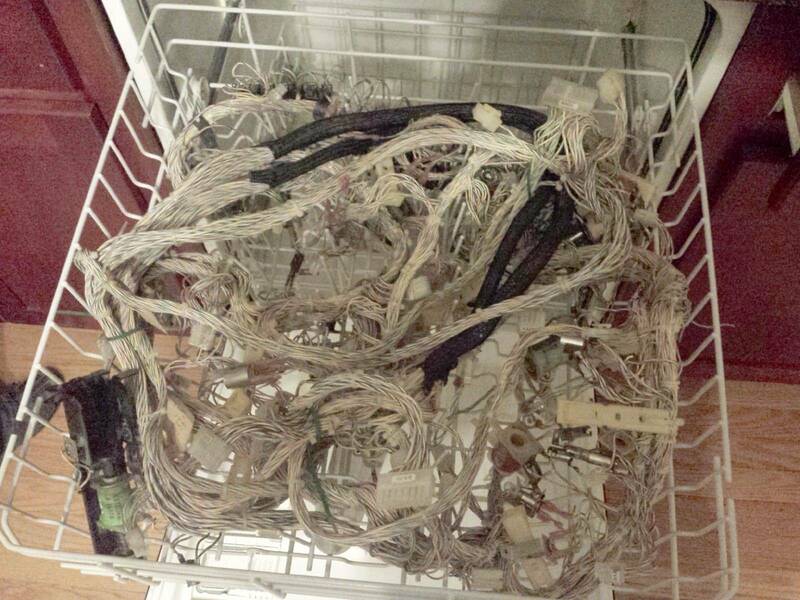 I've washed probably 100 harnesses and maybe 700+ circuit boards. If you want something that's not detergent & water, you can use Carbon Tetrachloride, but to me, that's "too much cleaner" for such a simple job. vid1900 last edited this post 5 months ago. You see how crappy the plating was on those old Williams sockets. You can wipe the outside of the sockets with an old wax impregnated rag you used to wax a playfield with. Hey, Vid.... how long do you normally allow the harness dry after coming out of the dishwasher so any remaining moisture can drain off? Also, do you use the heated dry function? Usually the harness comes out dry and very hot just in the regular "pots & pans" cycle. Make sure if your board has any relays, you remove them before you wash it. Nobody has a gun to your head, clean your harnesses any way you like, lol. I've probably done another dozen harnesses since this article. They went into some very high dollar restorations, for some very picky customers. Time REALLY is money when restoring pins, and getting a spotless harness that looks better than new in 2 hours is money in the bank. One of the first harness I believe I ever dishwashed was Fireball2 back in the late 90s after reading about the process on rec.games.pinball . I replaced a coil and the rubbers few months ago for the current owner of that game. Nothing was corroded, and believe it or not, it's still pretty clean after probably 20 years. That game is kept in an Ohio basement, one of the dampest places on earth. My theory is, that by washing off all the sticky manufacturing oils & plasticizers from the surface of the wires, it helps keep soot and dust from adhering to it. Any tips for harnesses with rodent damage? I'm assuming put it through the cleaner (I have an ultrasonic) and then start inspecting... Any advice on the wires themselves? I'll obviously replace the ones that were badly chewed and mostly bare - but is it worth buzzing continuity and repairing ones that just have a few nicks? Vid - Thanks again for all you've done and your continued help. I'm sure you can gather by all my posts across your guides I got a bulk deal at a cheap price that has a wider variety of problems than my usual finds. If the rodents ate the PVC insulation off, but left the copper intact; then just put the closest color shrink tubing sleeve around it. You can release the contacts from the Molex plugs and slide the sleeve over the contact. If it's on the playfield side, it might be quicker to unsolder a wire, then slide the sleeve over it. Ebay or Fry's has huge grab bags of rainbow shrink tubing. Get the smaller diameters that will just barely fit over the connectors. 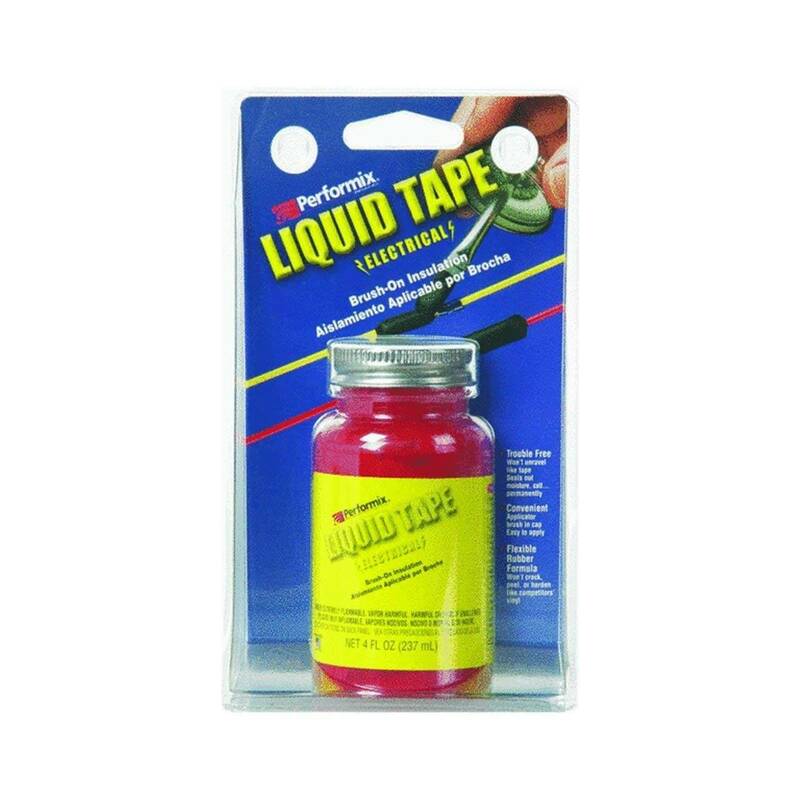 Liquid Electrical Tape only comes in Black, White, Red, Yellow and Blue. They used to sell Clear, but I have not seen it lately. Not the best price, but you can probably find that brand someplace else. So, I joined the club last night, brand new Bosch dishwasher installed Friday, first "load" was the lower playfield wiring of Black Knight. Bosch doesn't have a "pots and pans" cycle; "Extra Scrub" is the one that sounds the most gnarly and is the setting all the way at the end I figured "heavy cycle" would go longer and be the most thorough cleaning. Also, I filled the detergent cup with powdered dish detergent, why be bashful. 1) a couple of (small) areas of the wiring didn't seem to have really been cleaned. So maybe I need to be more judicious about how I place the looms? 2) the chalky white oxidation common on metal playfield brackets (coil for pops and slings and drop targets) seems to have been utterly unaffected. I've been having a work drought accompanied by tons of home expenses, so buying an ultrasonic cleaner at the moment is a bit of a non-starter. I like to take drop targets apart and wax them as a matter of course anyway (and hit those metal brackets with a coating of spray clear), so this isn't a crushing disappointment, but it will mean handling all of the smaller ones one at a time in a way I'd hoped to be spared. Additionally, and this is a pretty minor quibble but just for the record, in my case the copper parts didn't come out of the washer looking like shiny new pennies. They are clearly cleaner than they had been, and I have no doubt the contacts benefit from the washing, but again, didn't quite have the "ta-da!" finale to this process I was primed for. Did my harness for my sinbad. Did 2 cycles as I flipped it over for the second. You can snip a few zip ties and let it really get in to the trouble spots. I've cleaned a harness where someone had sprayed, what I assumed to be WD40, on all the mechs. It was still dirty after a cycle, so I snipped the zip ties in the bad areas, and pre-soaked it with Dawn to break up the oil, then ran it again. 2nd time was the charm. 2) the chalky white oxidation common on metal playfield brackets (coil for pops and slings and drop targets) seems to have been utterly unaffected. If we put a rusty head of a shovel in the dishwasher, it would not come out as shiny bare metal. The fine sand in the detergent will clean off some oxidation, but if it's deep, you need to tumble with abrasives for 48 hours. 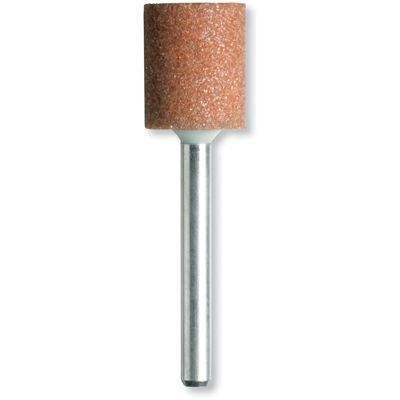 Unfortunately, an ultrasonic will not clean off oxidation either. Again, probably just depends on how oxidized they were to begin with. Also, the Harder your water is, the less effective the detergent. And of course, you might have to experiment with detergent. The worst is Cascade With Dawn - it does not even work on food (the "dawn" part tricked me, knowing how good real Dawn is on oil). The stuff I'm using right now is Kirkland Premium, for whatever that's worth. If the copper bottoms of your pans come out like shiny pennies, then that's a good soap for your switches. 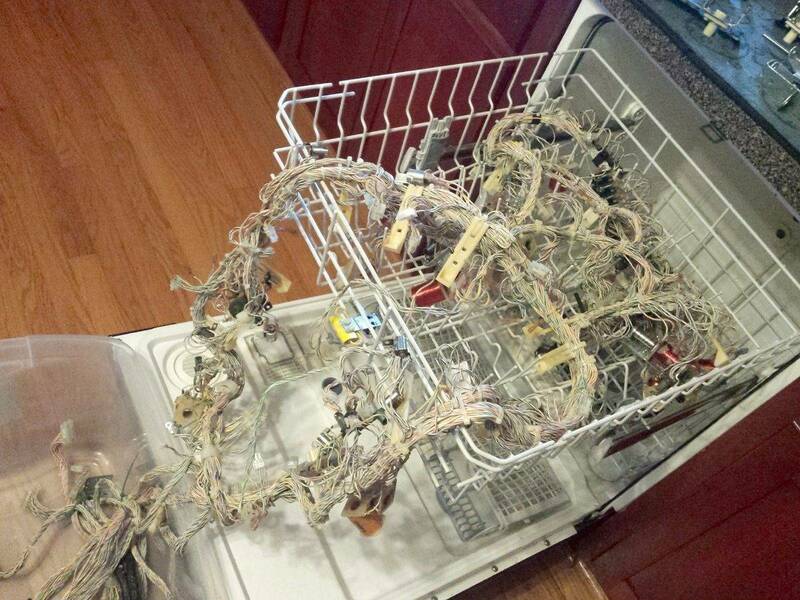 Should I snip off relay boards so they don't get the dishwasher treatment? The detergent has fine sand in it, so you want to remove the possibility of any grit getting in the relays. Same with enclosed switches that are not waterproof. We don't want them filling with water that will never dry. I'm not comfortable putting that stuff in my dishwasher, but there were several $25 working dishwashers on craigslist in my neighborhood, so I picked one up and am going to give this a try. Make sure you hook it up to the HOT water on your laundry tub. I didn't put a harness in yet, I need to lay a square of wire mesh in there to keep danglers above the rotating wand. But I did put a bunch of other stuff in there and it did a pretty good job, big time saver. You can get "Rabbit Wire" by the foot at the hardware store if you need to keep danglers out of the wand. Zip tie it in place. Once again, VID for president ! I have a roll of it, it's just not important enough to me right now to go rummaging through the shed in the dark when it's 17° out. For what it's worth, I would not recommend that unit. I purchased it and while the ultrasonic portion worked well, I could not get the heater to heat the solution hot enough even after running it 3 times for 10 mins. 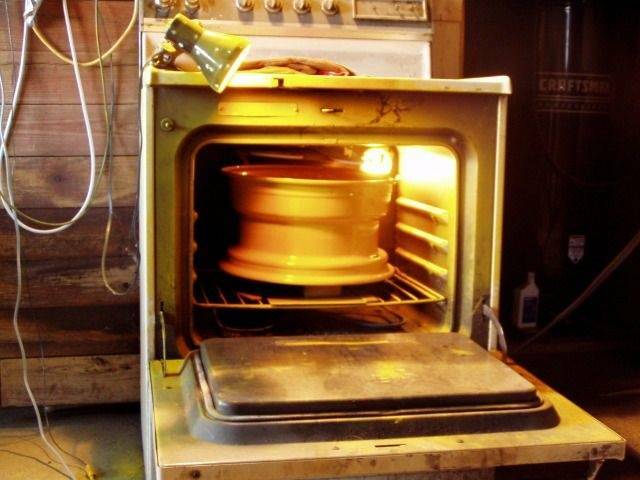 I usually fill it with hot water, add the de greaser, then hit the heat button. Not many Canadians on here . . . It may have tripped the over-temp sensor inside the unit, shutting it off. I'm looking down the barrel of a positively FILTHY Addams Family pin. Like, I am certain nobody has ever cleaned it, ever. Going full on playfield swap, CPR gold playfield, so obviously everything needs to be super clean. The previous game I tossed in the dishwasher was Black Knight, so it only had leaf switches. 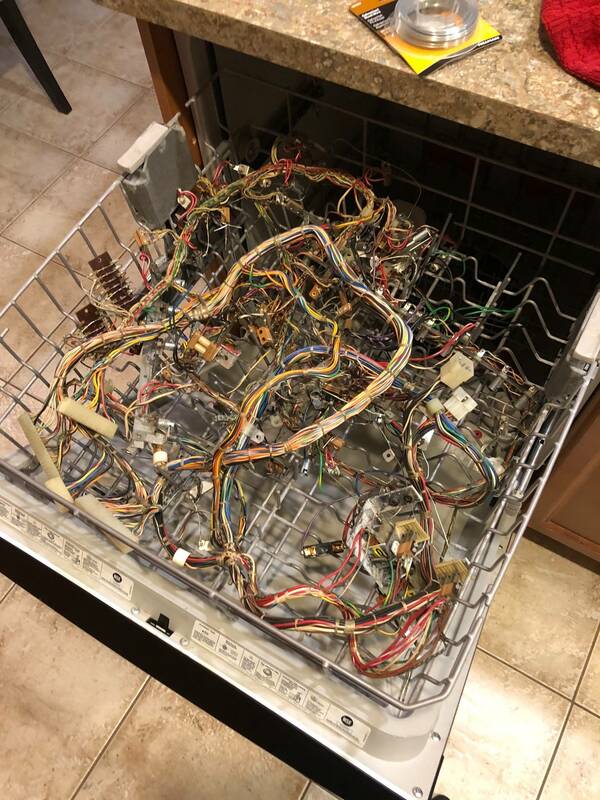 I'm gathering from what you're saying here that I should leave the switch matrix wiring out of the dishwasher, as it can mess up the microswitches? same here need to clean a very dirty earthshaker harness but not sure about the switch loom, don't really want to de-solder every microswitch. Can anyone confirm that I have the right idea with this list? I would love to make cleaning this filthy harness as efficient as possible. I leave them on then replace them with new ones when I'm done. They will fill with water that you can't get out. Once the game is done, you may not have issues. Give it a few months and you might notice you have to hit a switch a couple of times before it activates. That's the corrosion starting to take effect. Micro switches are so important to the game I like to start out fresh with new ones. I sell them here, if anyone is interested.